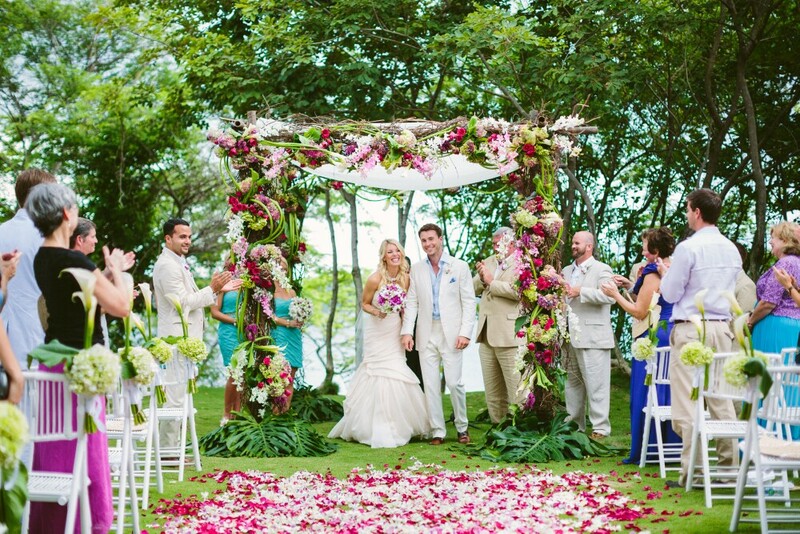 I was invited to join a group of Costa Rican wedding planners for a couple of days to learn more about having a wedding at the Four Seasons. I had planned a number of weddings over the past few years and was curious to see what changes the resort had to offer. The resort is 10 years old and during the next few months will be renovating their restaurant areas to give a new spin on its design. When I arrived I was personally greeted by the reservations manager Manuel and the general manager Pascal Forotti. I found a beautiful floral arrangement and a tray with strawberries and chocolate waiting for me in my room. The accommodation was spacious with a large, comfortable balcony. The next day I was serenaded by a troupe of howler monkeys right outside my room. The pool area and beaches had comfortable chairs, complimentary lotions and spray mist to keep you cool. The staff was attentive and offered ice water during the day. During the next few days the administrative staff pulled together to create a vintage wedding experience. Susan Flores, conference services manager and Andre Brathwaite, sales manager were enthusiastic, open and had lots of creative ideas. After a tour of the resort showing various locations for a wedding including the golf course with a fantastic view, we adjourned to the spa. We had a rehearsal dinner experience after a massage. Dressed in our spa robes we were in one of the open areas where there bar with lots of tapas. The floral decor featured tin cans with original labels and spring flowers. The food is first rate and what you would expect from a Four Seasons Resort. Day two we met at one of the villas that featured a private swimming pool. They are spacious and make you feel right at home. The staff set up a breakfast buffet on the balcony that featured typical Costa Rican cuisine. After breakfast we had a few hours to experience the beach and pool areas before we went on a catamaran. The Four Seasons provided the wait staff, sushi and wraps for lunch. The margaritas were perfect! Here is what sets the Four Season apart from many resorts. We went swimming off the side of the catamaran and one of the guests lost his wedding ring when it slipped off his finger into the ocean. A staff members put on a snorkel and dove for this ring for over an hour and a half. I couldn’t believe it when he came up with the lost ring. We were all amazed and happy that he found the wedding ring. There was even a wedding on the beach. 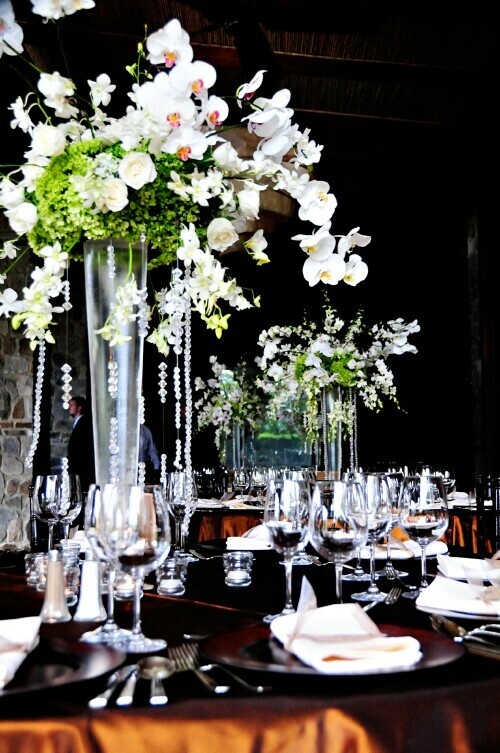 The floral decor fit in with the style of the event. Embrujos Floral Studio’s designer Antonieta Sarnjuán created the floral design for the event. I’ve worked with Antonieta before and her designs are some of the best I’ve seen in Costa Rica. She is easy to work with and her creativity knows no bounds. Besides musicians there was also a sangria bar. Moving on to the reception we found a beautifully decorated table and room. Candles and flowers created a very romantic theme. We dined, listened to music and watched an artist create a mural. That was something out of the ordinary. After dinner there was dancing and dessert. We adjourned to our rooms and found a goma survival kit, complete with Gatorade, aspirins, alka seltzer, water and a rose petal bath. Goma is a Costa Rican slang expression for a hangover. The Four Seasons Resort’s goal is to leave their clients with wonderful memories in paradise. I know having a wedding at the Four Seasons will be unforgettable, and as a result, you’ll be planning a return visit on your wedding anniversary! 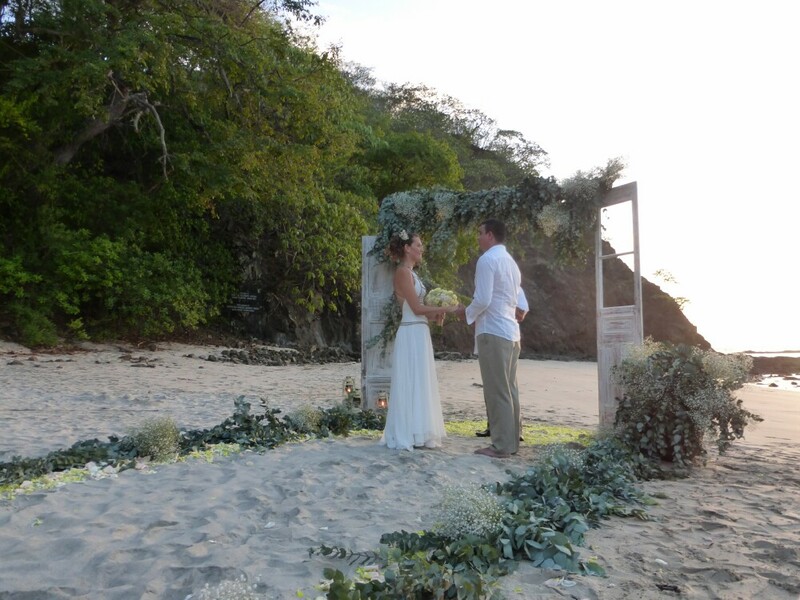 This entry was posted in Beach Wedding, Wedding Flowers, Wedding Locations, Wedding Pictures, Wedding Planning by Randy Gritz. Bookmark the permalink.